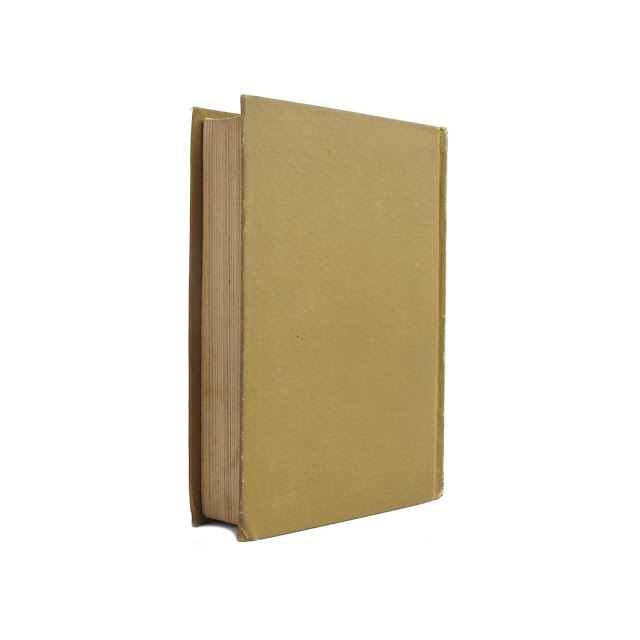 This antique hardcover book is bound in decorative olive-green cloth boards. 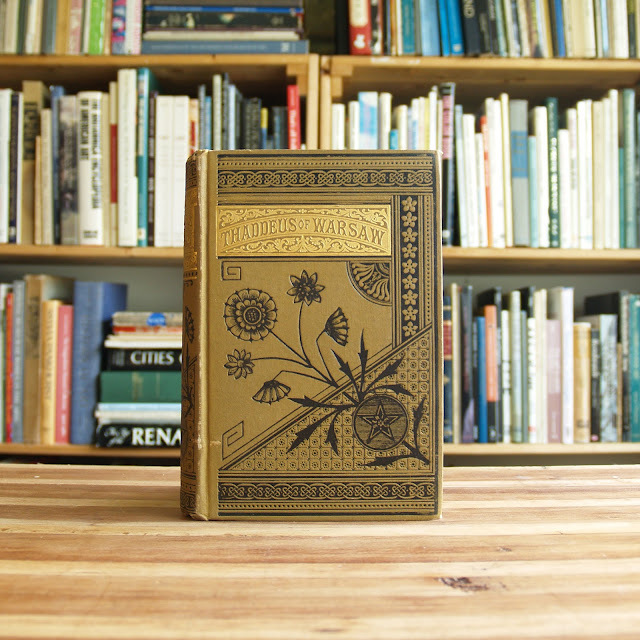 The cover and spine are patterned in bold floral and geometric designs. 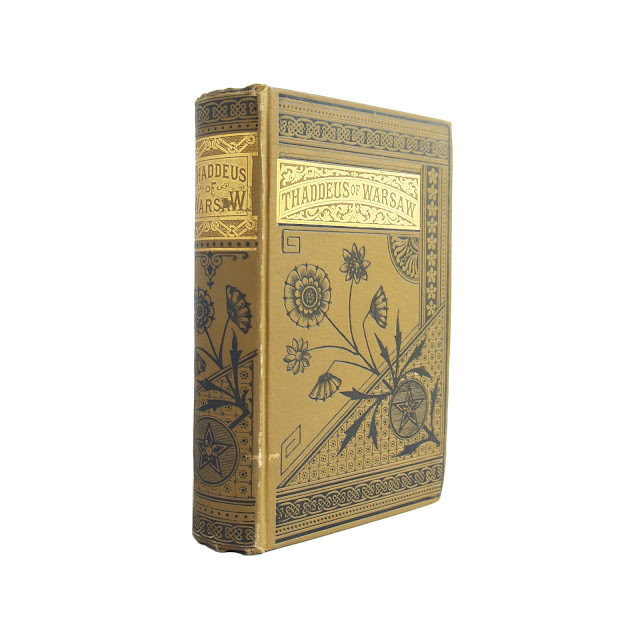 A geometric black border is etched at the top and bottom, and the title lettering is gilt, on a gilt background of interlocking chains on the spine, and scrollwork on the front cover. No date of publication given; ca. 1885 or thereabouts. 459 pages, approx. 5"x8". 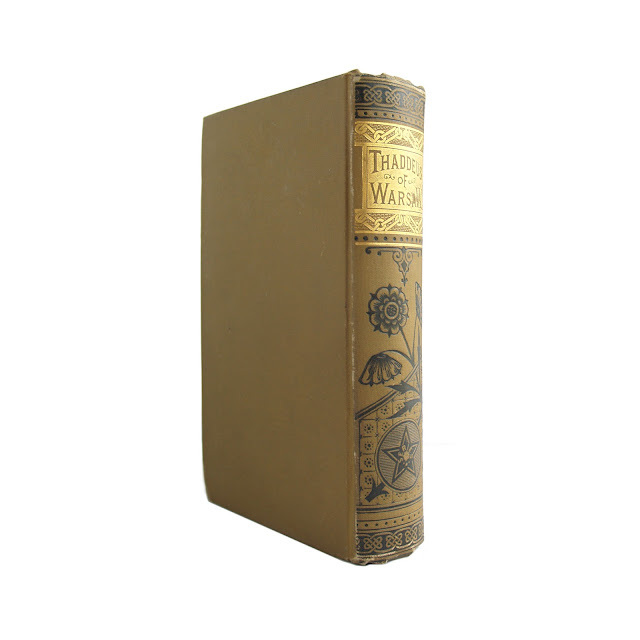 Book is in good condition with owner's name, some foxing to the foredge, wear and soil.